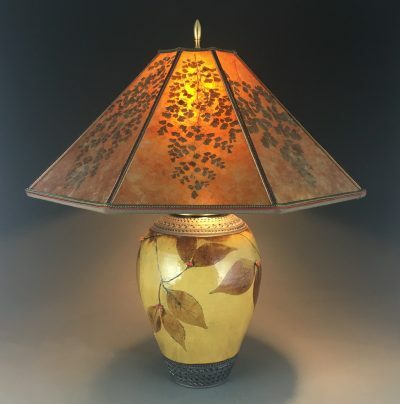 Arts and Craftsman LLC includes Arts and Craftsman Woodworks and Arts and Craftsman Tileworks. 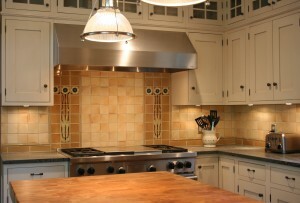 We manufacture tiles in the arts and crafts style. We also make frames to hold our tiles and also tiles we resell from other tile makers. On our website, you can also find clocks, doorbell covers, textiles, motto plaques, notecards, framed prints, tile easels, framed Roycroft mottos and tiles from many other arts and crafts tile makers. We have been in business for 15 years and are located in Northeast Ohio. Mission Guild Studio is a “Unique” dual artisan owned & operated studio specializing in a revival and renewal of Arts & Crafts era ideals. With a strong passion and established philosophy of “Forward Thinking in the Craftsman Tradition” this studio offers both traditional and one of a kind art furnishings & decor. Although widely known for their exceptional & distinctly recognizable framed tiles, the artisans at Mission Guild specialize in multi-mediums such as Rare Hardwoods, Clay, Precious Metals, Paintings, Prints and Glass. Individually they each bring you over 20+ years of experience in the arts and design. The artisans: Christie Schorf-Miller & James Miller have both been individually Awarded the designation of “Roycroft Renaissance Artisan”. The history of Roycroft dates back to the late 1800’s – early 1900’s on the historic Roycroft Campus in East Aurora, NY and was at the forefront of the Arts & Crafts era in America. The award of Roycroft Artisan includes the privilege of using the historical and highly collectable Roycroft Renaissance Mark/Orb on their creations. Christie has received Roycroft Master Artisan status for her work in Clay. James has received the Roycroft Master Artisan status for his work in Wood. Christie has also received Roycroft Artisan awarded status for her works in Metal/Jewelry. “Our offerings are artisan designed and created here in our studio, rather than factory mass produced. We offer a variety of exclusive – One Time Only – artisan creations with Limited Availability. 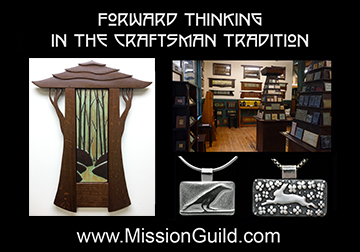 We also provide an extensive On-Line Catalog for shopping via our web site at www.MissionGuild.com… Be sure to keep our web site Book Marked in your Favorites as we are frequently updating the on-line catalog with new hand wrought selections. Additional works can be found for sale year round at one of our select Shows or at one of our New York based Gallery affiliates. Details & directions to these locations can be found on our web site. Oh… Don’t forget to “Like Us” on Facebook! Mission Guild Studio has an exclusive Facebook page where you can see several of our newest works as they are born and first revealed to the public. Like us today! The team at Motawi Tileworks is passionate about making great tiles, while spreading our positivity and sharing our experience. Our company was founded in 1992 by Nawal Motawi, who started making tiles in her garage and selling them at the Ann Arbor Farmers Market next to the rutabaga sellers. More than 30 of us now now make tiles in a 12,900 square foot studio, and sell them through more than 300 stores spread across the United States. We utilize Toyota Style Production thinking and methodology, and strive to cultivate positivity, constant improvement, and high quality tile. Nawal’s motto: It’s fun to be good at what you do! All our tiles are handmade in our studio to produce custom ceramic tile for your home. Inherent with handmade ceramic tile is variation in the hue, shade and glaze finish. To most, this natural variation is the intrinsic beauty that draws your eyes to our tile. 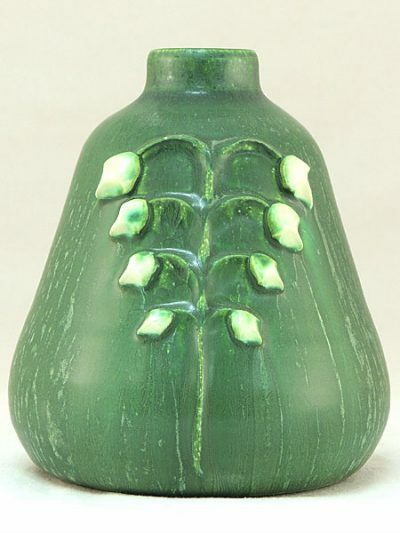 For others, it is the wide variety of Arts & Crafts glaze colors that are available. Our field tiles are extruded and hand cut to the desired size. Our reliefs are produced from our production molds; either from our 30 ton mold press or hand-pressed molds. We make our tile to function and fit the space for your pleasure to reflect your creativity and personality. Suzanne Crane runs a small, but exquisite gallery at the site of her studio in Earlysville, Virginia. She calls it Mud Dauber Pottery, and it is well known by locals partly for its collection of fine American craft, and partly for the chalk-board that Suzanne sassily maintains by the busy road in front of her studio. You’ll find examples of the pieces in the Mud Dauber Gallery collection, curated by Suzanne, mostly from artists she’s made friends with while doing shows across the US. The gallery’s theme is Birds, Bugs and Botanicals.